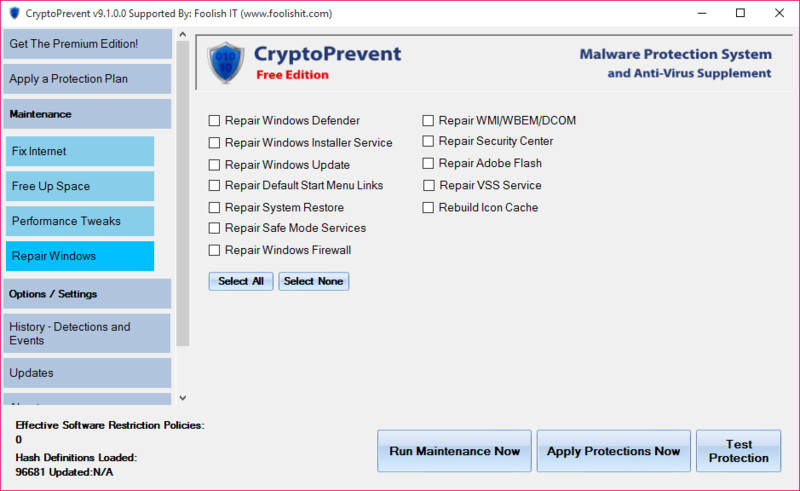 If you are looking for a tool which can prevent any virus or malware attacks, then CryptoPrevent can be the best choice for you. You will see that this tool will offer you the protection you need against a lot of new and emerging ransomware or other threats that may attack your PC. You will notice that the design of this tool is easy to understand and it won`t impact your PC performance. It won`t demand any time for maintenance, and to use it, you will see that you won`t need any knowledge to do so. This tool will prevent any infection, and it will help you in protecting all of your valuable data. The HoneyPot protection is critical, and you will see that there won`t be any virus that will manage to break through this protection. When malicious activity is detected, all of the non-essential programs will be terminated, so the malicious software will be stopped before it will have the chance to make an impact on your PC. The Folder Watch feature is another tool which you may find useful. 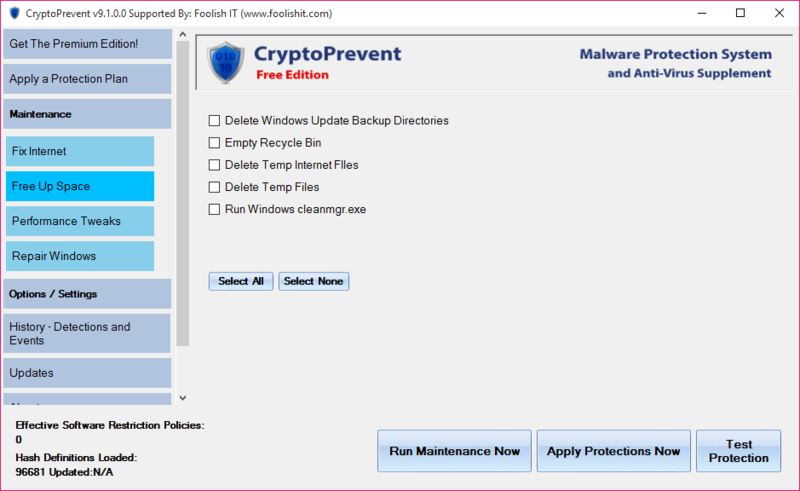 CryptoPrevent will monitor and protect your most common folders from any items which will match any malware definition. The filtering protection is also improved, and it is a handy feature. Another important thing when it comes to this tool is the fact that it will have an easy to use user interface. You will also get different notifications if you use this one out and the customization abilities will even come in handy because you can quickly make this tool to have a perfect look. Thanks to CryptoPrevent , your operating system will be working smoothly and will be optimized without you having to do anything. You will also get some email alerts with details when this tool detects something unusual, and you will learn in a matter of seconds what happened with your PC. This CryptoPrevent can also be customizable, and this feature can be used in some situations. Using this feature, it will be accessible to blacklist or whitelist programs.